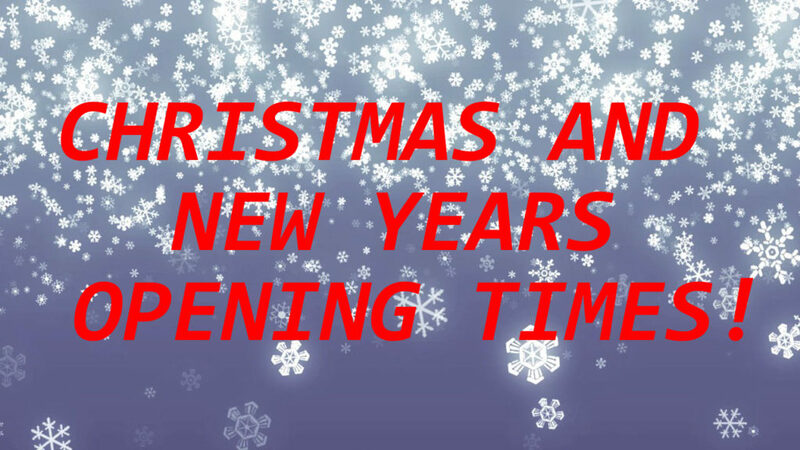 Christmas and New Year Opening Times. Opening Times for Christmas and New Year. Friday 22nd – 8:30am – 5:30pm Saturday 23rd – 9:00am – 2:00pm Sunday 24th – CLOSED Monday 25th – CLOSED Tuesday 26th – CLOSED Wednesday 27th – 8:30am – 5:30pm Thursday 28th – 8:30am – 5:30pm Friday 29th – 8:30am – 5:30pm Saturday 30th – 9:00am – … Continue reading Christmas and New Year Opening Times.